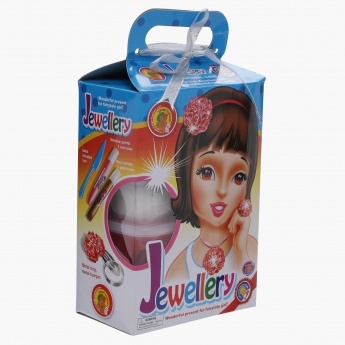 Let your little girl show her creative side as she makes her own jewellery with clay. This clay set come with one knife, clay's, two glitters and two molds. Your little one just has to choose her favourite colour clay and put the clay on to take the shape or mold she likes and add glitter for final touch.